Jewelry making projects are always fun, allowing your creativity to run free while promising a nice piece of accessory in the end. 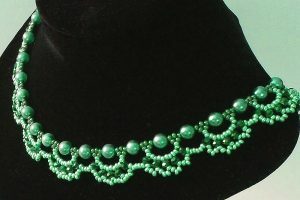 Braiding, weaving and beading are just a few techniques used for making stylish necklaces, with seed bead projects letting you opt for any of these methods to make clustered casual necklaces or intricate designer patterns. 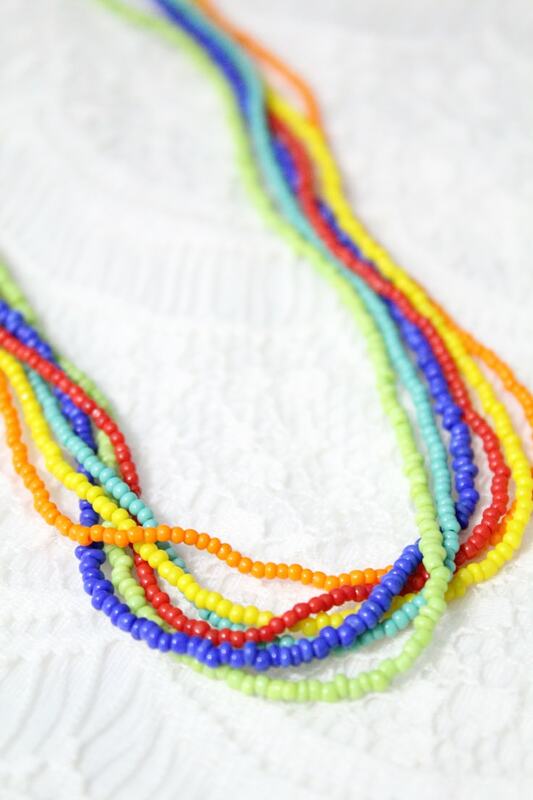 The trick is to pick the beads in several shades of the same color so the string color in your necklace could fade from dark to light, finally ending with white for the innermost beaded string. 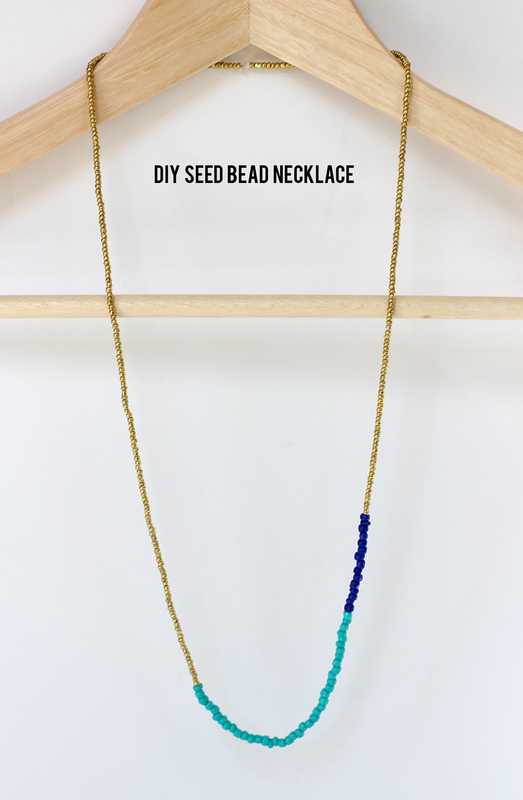 One of the simplest DIY instructions for a seed bead necklace, this one is really easy to work on; the end result does look pretty professional though. The pattern does look pretty intimidating when you look at it, but don’t lose heart. 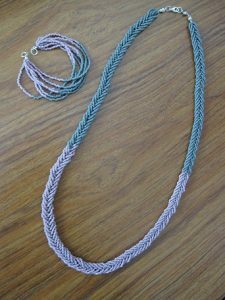 Follow the pattern link and you will find a diagram showing the beading method for the spiral and zigzag design. 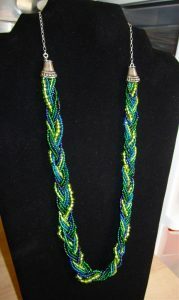 This is another similar pattern, worked with colorful beads. 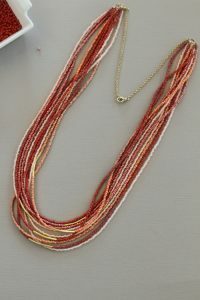 You can go for any color, just make sure that the individual strings look good when clustered together in the necklace. 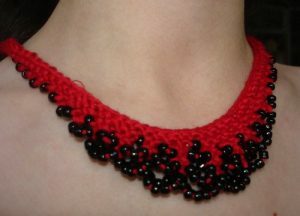 Yet another designer pattern, the classic necklace would look good in any dark color that would bring out the intricate details. Here is the first braided seed bead pattern for you. 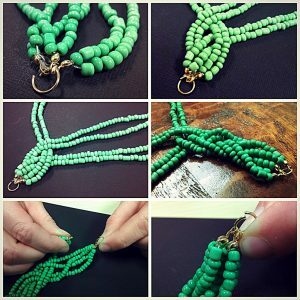 The basic steps are quite similar to those involved in the earlier multi strand tutorials, with the main difference being that you need to braid the strands after beading, before you can attach the end clasp. 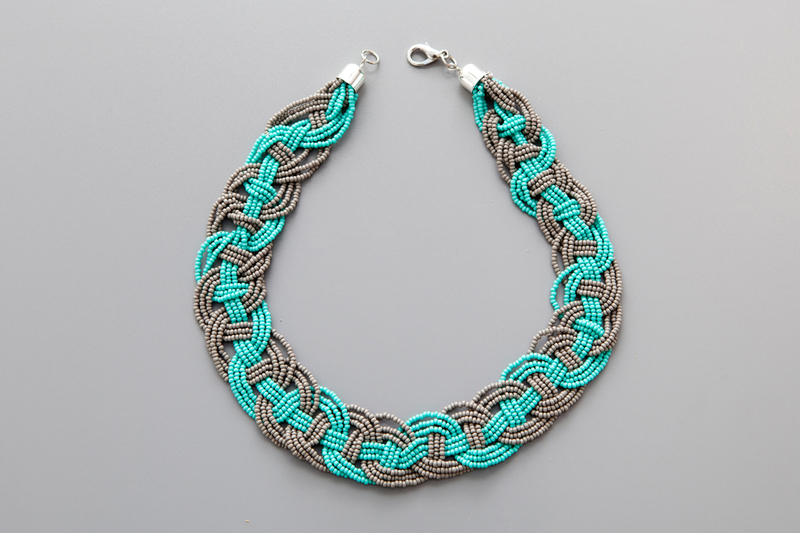 A cool woven beaded necklace, the blue-gray color combination is really working for this one. But don’t worry much if you can’t get the exact colors. 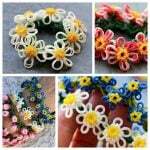 Just go for any nice combination you like and it will turn out fine. 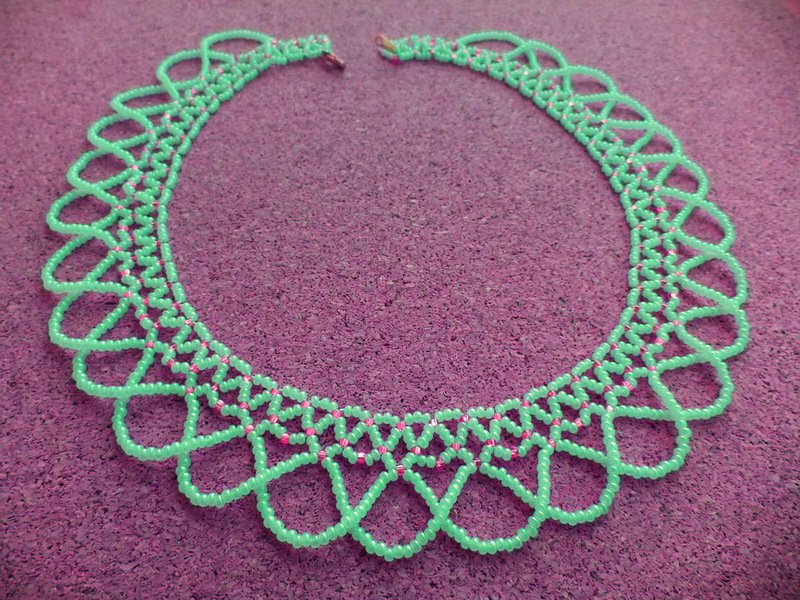 This is almost like a choker, with the crocheted border giving the pattern a unique edge. 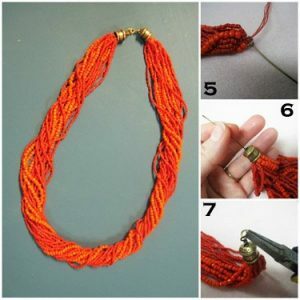 Make sure to pick a thread matching the beads you are going to use. 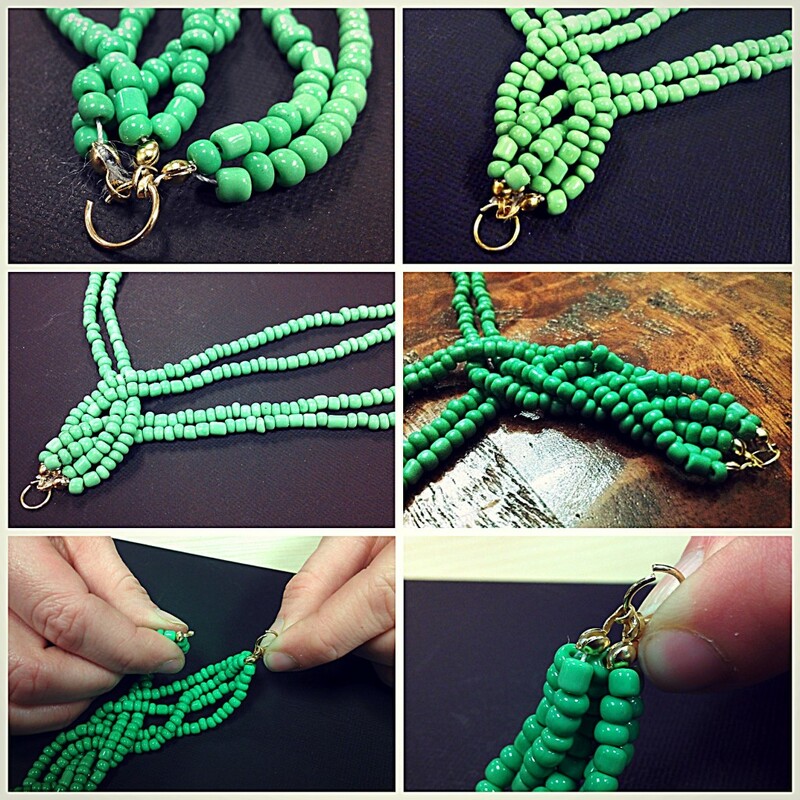 Isn’t it amazing that you can make this one yourself at home! 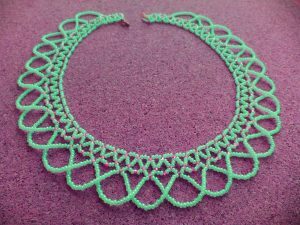 Imagine the expression on your friend’s face when you give her this nice necklace for birthday and tell her that you made it yourself. 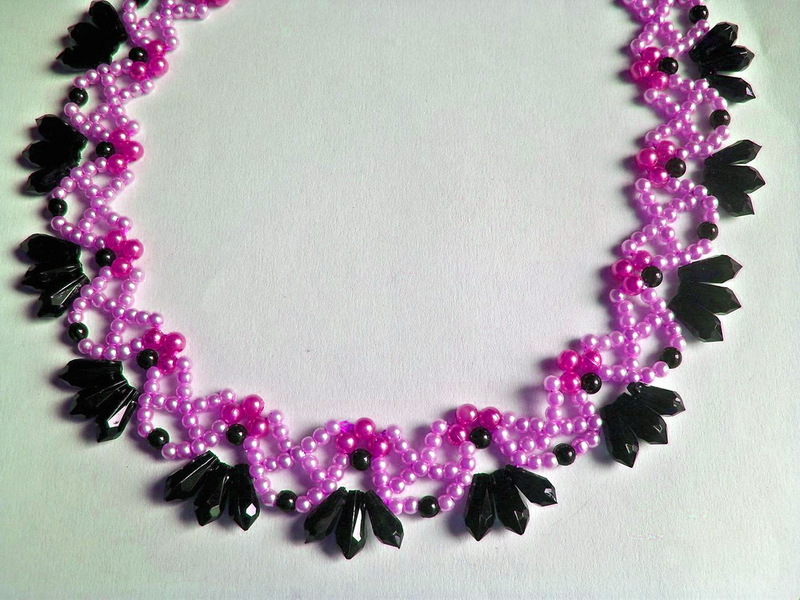 The simplest pattern of all, this one only requires you to string the beads in any color pattern you prefer, before finishing off with end clasps. 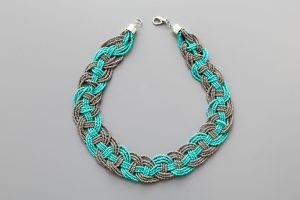 A trendy beaded and braided necklace, you can find the metal end covers, used for finishing this one off, in any jewelry supply store. The strands have been intertwined a few times after finishing off to give the necklace a twisted appearance. So, which one are you planning to work on first? How about starting at the beginning, gradually working your way through all the fifteen patterns? 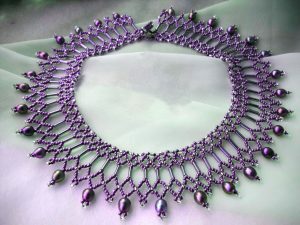 Each one is sure to be a prized possession, complementing both your beauty and your neat handiwork. your works are unique and classy. 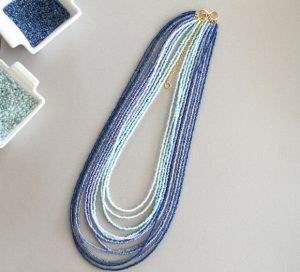 I love these beautiful necklaces. I would like to see the patterns. How do I get to them? When I touch the pictures, it just makes the picture bigger. It doesn’t show me the pattern. Am I doing something wrong? Hi Linda, you need to click on the headings before the images in order to open the respective tutorials. Not all of the links are working. Can you please fix this issue? Just a few linked websites are down due to maintenance. Others are working fine. Also, the webpage containing one tutorial had been removed by the source. It has been replaced with another. 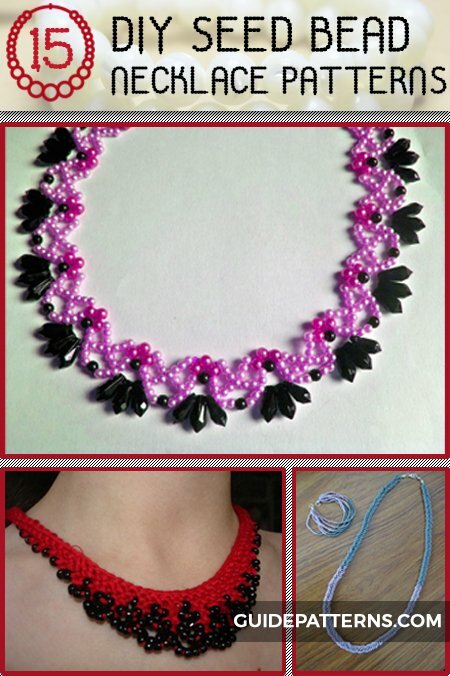 So many pretty ideas here! I can’t wait to give some of them a try. Sorry, we don’t send patterns through Whatsapp. 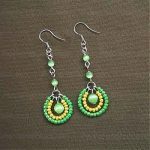 You can get them on our website only.